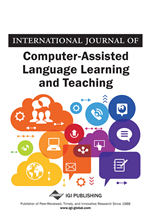 This article presents an environment developed for Learner Corpus Research and Error Analysis which makes it possible to deal with language errors from different points of view and with several aims. In the field of Intelligent Computer Assisted Language Learning (ICALL), our objective is to gain a better understanding of the language learning process. In the field of Natural Language Processing (NLP), we work on the development of applications that will help both language learners and teachers in their learning/teaching processes. Using this environment, several studies and experiments on error analysis have been carried out, and thanks to an in-depth study on determiner-related errors in Basque, some contributions in the above mentioned fields of research have been made. As regards error analysis methodology, language errors are usually collected from learner corpora, tagged and classified. Then, analysing those texts and the tagged errors, it is possible to make some conclusions on the learners’ interlanguage (IL), the developing language of second language (2L) learners. Interlanguage often differs from the target language (L2), and the annotation of such corpora is an important means of accessing its unique characteristics (Granger, 2003a). However, manual annotation is a difficult and costly job. That is why many computer tools for language learner error analysis have been developed (Dagneaux, Denness, & Granger, 1998; Meunier, 1998) which enable the error tagging to be performed more accurately, quickly and easily. Apart from annotating errors for language learning and teaching purposes, our idea when developing the environment here presented was to take the advantage of those annotated corpora to carry out the automatic error detection, diagnosis and correction of the tagged error examples.